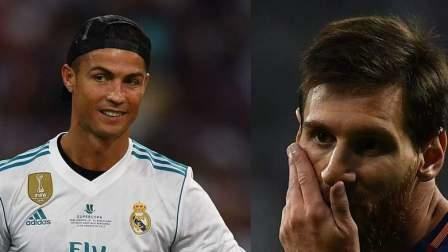 The terror attack in Barcelona which left 14 people dead and over 100 injured has broken the hearts of football superstars Lionel Messi and Cristiano Ronaldo. Messi and Ronaldo, rivals on the field when they lock horns in the Real Madrid-Barcelona Clasicos, took to social media to pay tributes to the victims. "I want to send my condolences and all my support to the families and friends of the victims of the terrible attack in our beloved Barcelona, in addition to totally rejecting any act of violence," the 30-year-old Barcelona icon Messi wrote on Instagram. "We are not going to give up, there are many more of us who want to live in a world in peace, without hate and where respect and tolerance are the basis of coexistence." Real Madrid talisman Ronaldo also left a message on his official Twitter handle. "Dismayed at the news coming from Barcelona. All the support and solidarity (to) the family and friends of the victims," Ronaldo wrote on Twitter. Barcelona defender Gerard Piqué also condemned the attack in a city where he grew up and became a professional footballer. "More than ever all together against this attack in our city. All my support to those affected by this barbarism," Piqué, a World Cup-winning Spanish defender, wrote on his official Twitter handle. Andres Iniesta, whose goal in the dying minutes gave Spain the World Cup title in 2010, was also heartbroken by the attack in Barcelona. "Everyone is ashamed of what has happened and the news that continue to emerge from our city. All my love," the Barcelona playmaker wrote on Twitter. Lot of other football stars also paid their tributes to the victims.